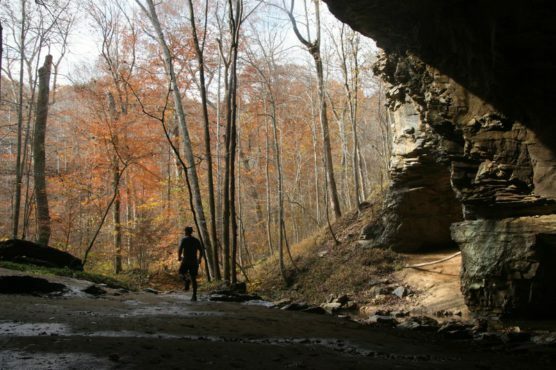 With more than 30 miles of trails that wind through its 2,000 acres among in the hills of northeastern Kentucky, Carter Caves Resort State Park offers up gorgeous scenery and challenging terrain for the runners who make the trek here in the late spring for the Carter Caves Half Trail, which this year will include a 13.1-mile race. The park, which remained largely untouched and in private hands for some 200 years before it was donated to the state in the 1940s, today features an 18-hole golf course in addition to a resort lodge, cottages and a campground, as well as plentiful hiking trails through its forests. 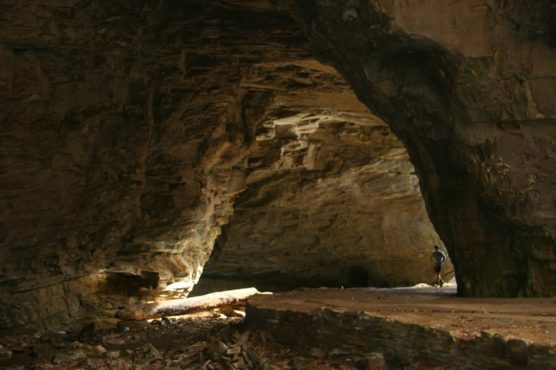 But of course what it’s most famous for are its caves — with names like Cascade Cave, X-Cave, Bat Cave and Saltpetre Cave (which was mined during the War of 1812 for materials used to make gunpowder) — which you can tour and walk through and see sights like a 30-ft. underground waterfall and an underground lake. The race begins at the park’s Farley Amphitheatre, and from there heads out onto a series of winding single-track trails through the woods. 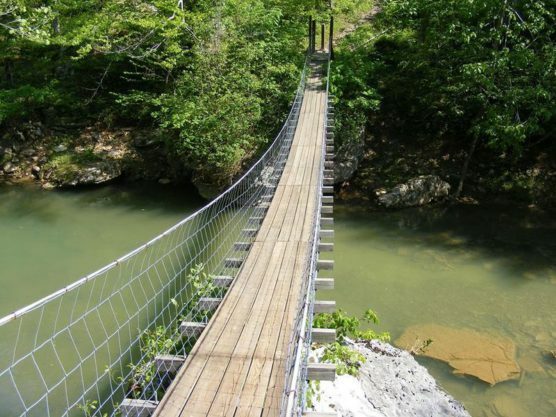 The course takes you past some stunning scenery, including rock overhangs and natural bridges and many of the park’s famous caves, as well as Raven Bridge, Smokey Bridge and the Shangra La Arch. You’ll have 6 hours to complete the half marathon and you’ll cross the finish line back where you started the race, at the Farley Amphitheatre. Nestled among the hills and forests of northeastern Kentucky, roughly 91 miles east of Lexington and about 120 miles southeast of Cincinnati, Carter Caves has weather much like nearby Olive Hill, which typically sees its second-wettest month of the year in May and temperatures between the mid-40s and the mid-70s. See the race route map for the Carter Caves Trail Half Marathon here. To reserve your spot in the 2019 running of the Carter Caves Trail Half Marathon, register online at UltraSignUp.com here. 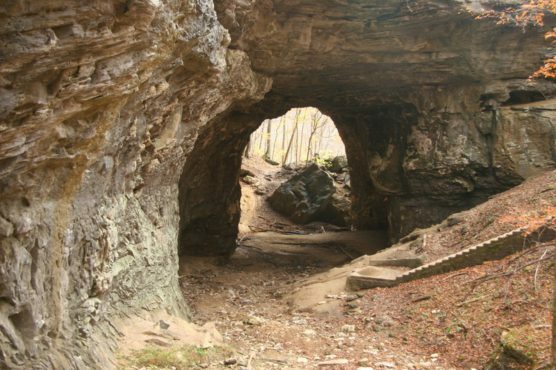 Ever run in the Carter Caves Half Marathon? Share your impressions here, as well as anything you learned about the race that you think other runners/walkers should know.